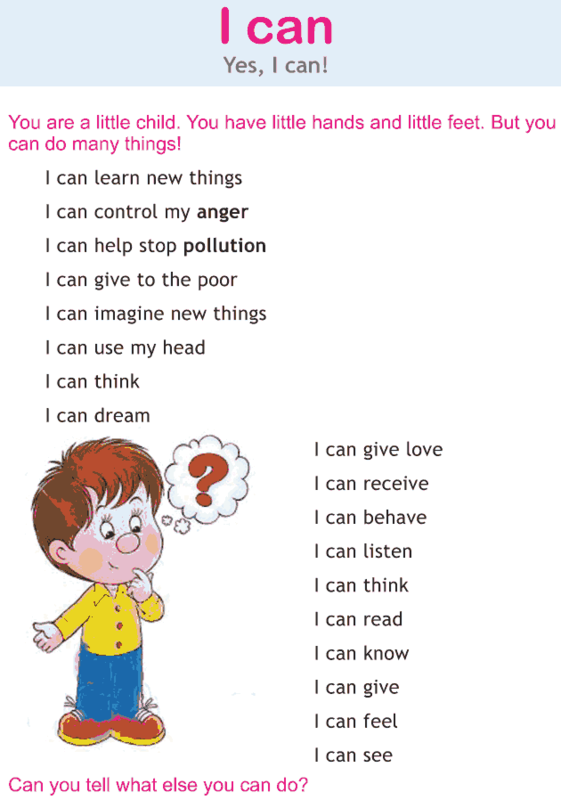 Can you name some of the things you can do? How about the things you cannot do? Can you try doing things which you think you cannot do?